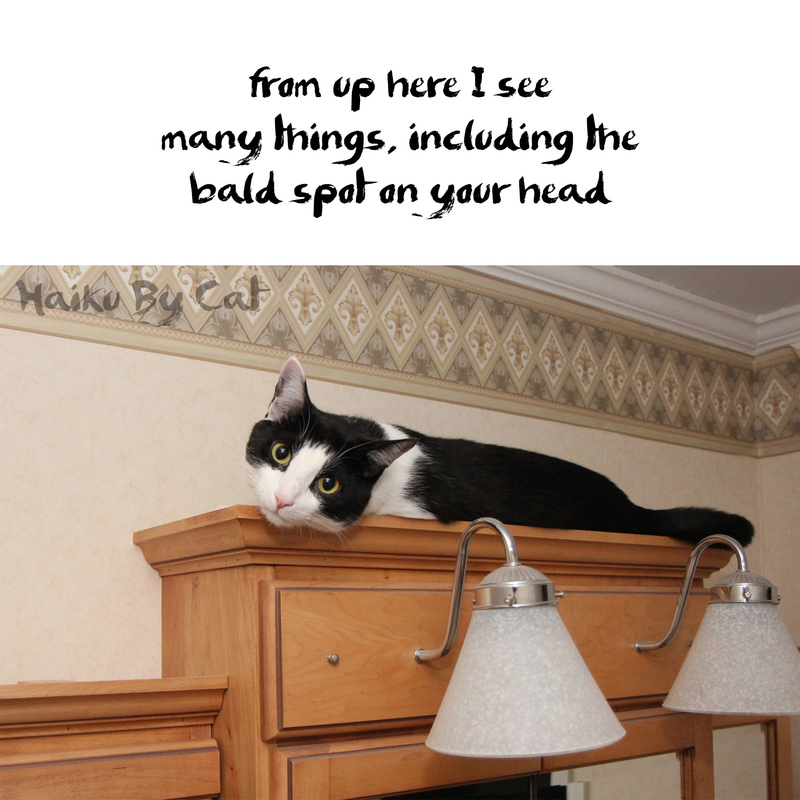 21 Comments on "Haiku by Cat: Seeing"
BOL! 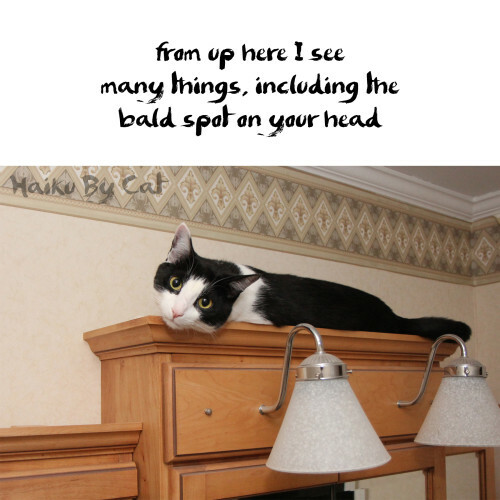 I bet you can see more than just a bald head! I always wondered why he was snickering. 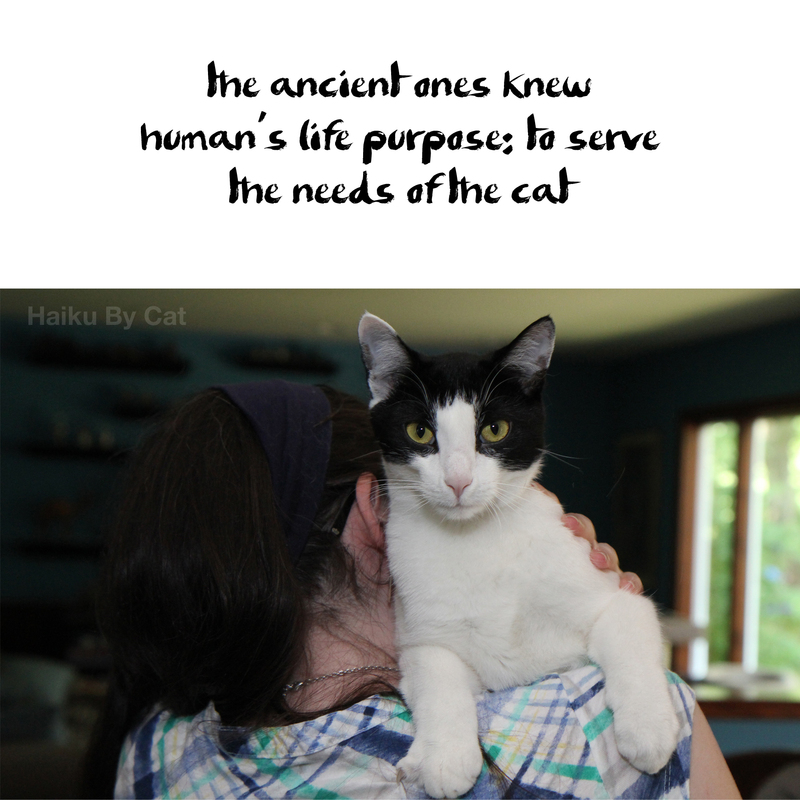 Haiku for haiku! Yay! Extra points for creativity! Thanks for stopping by! Just come by our blog instead of going through all those hoppers! Stopped by your site and sniffed around. Bling for dog rescue is a Very Good Thing! Why thank you! I’m glad you found me too. That’s Calvin in the pic, and he’s just one of four! See you on Facebook! They see everything, don’t they?